HYRUM “ARDELL” HARTLEY born in Cardston, January 7, 1933. Passed away on Monday, June 20, 2016 at the Lethbridge Regional Hospital surrounded by his family. Ardell is survived by his beloved wife Fay & their 5 children: Adrienne Toone (Kent), Michael (Danene), Sandra (Dalton) Harding, Robert (Sarah) and Rosalie; 25 grandchildren & 25 great grandchildren. He is the 6th child of Gilbert & Roumelia Hartley & is survived by one brother, Howard and many other dear relatives. He loved the peace & beauty of the mountains, camping with family & friends. His greatest joy was his family & serving together with his wife in the temple. He fulfilled many church callings. He served a mission to North Central States as a young man. As a couple they served in the Singapore & Australia Adelaide Missions. He was also Branch President of the Kainai Branch where they made lasting friendships. 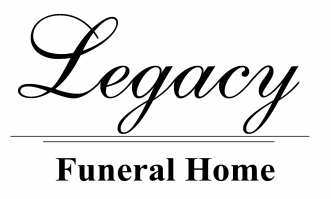 Friends may meet the Family at the Legacy Funeral Home, on Monday, June 27th from 7:00 to 8:00 p.m. or at the church from 1:00 to 1:45 p.m. prior to the service.